You’re Invited to Scare the Crows Away! Have you heard? 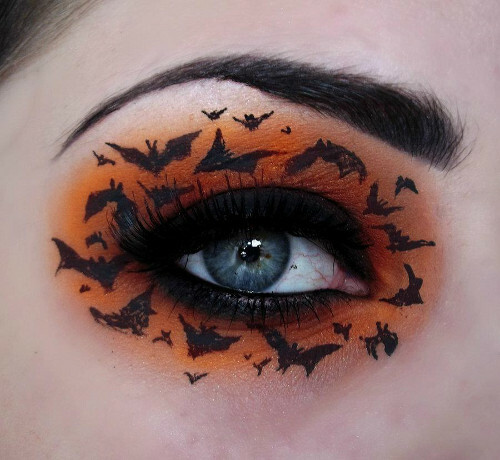 We’re throwing a Halloween-themed Botox & Peel Party this Thursday, October 30th! 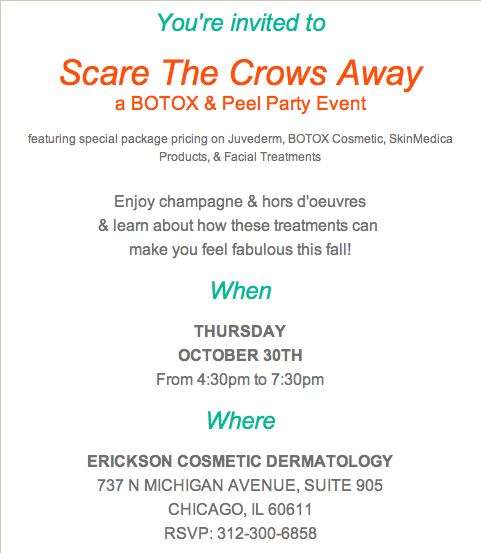 Come to Erickson Dermatology in Chicago to enjoy special event pricing on your favorite treatments and Scare those Crows Away! 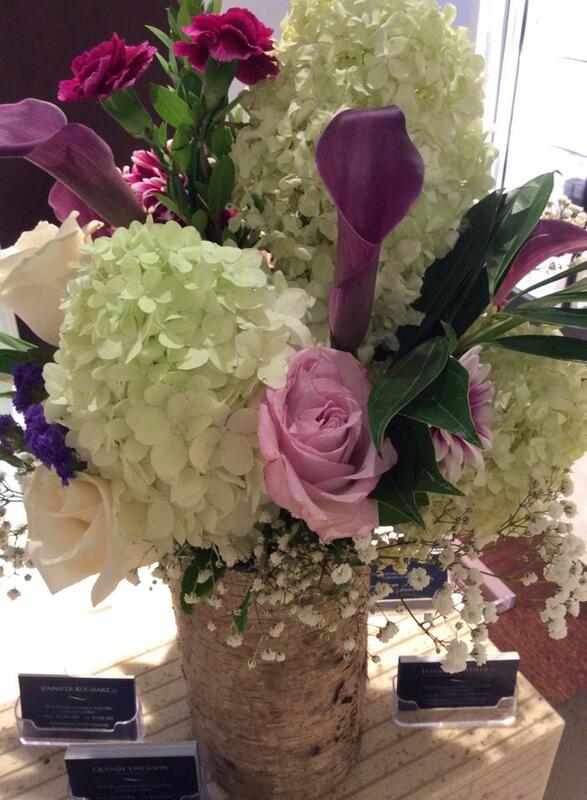 You’re invited to “Scare the Crows Away” at our open house-style reception from 4:30-7:30. Come in costume and be entered to win some fabulous prizes, including a BBL treatment! 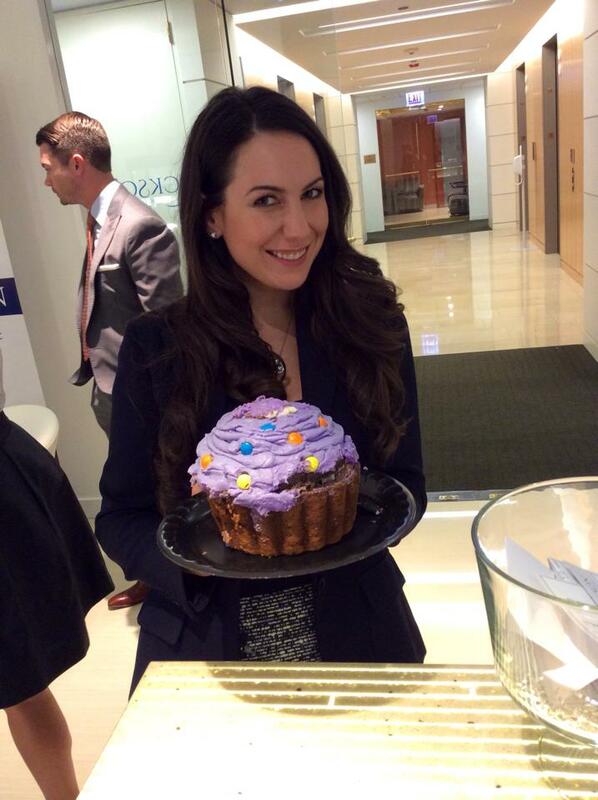 Call us to RSVP 312-300-6858, or just stop in for all the treats! Probably just about everyone has also ruined a favorite white top over time because of the yellow stains that form in the underarm area. Then there’s the lovely ‘nervous sweat’: Your body might instinctively think that you’re running from a threat in that pre-historic fight-or-flight way, but you’re really just trying to give a presentation at the office or a maid-of-honor speech. Then there’s actual hyperhidrosis, a condition that causes sweat glands to go into an overactive state. According to the International Hyperhidrosis Society, about 3% of the world’s population have hyperhidrosis. That’s about 211 million people! People with hyperhidrosis will often suffer from such excessive sweating that they must change clothing multiple times in a day, and even sweat through suit jackets. This can be terribly hard in social or work situations. Are you sick of your antiperspirant failing you? 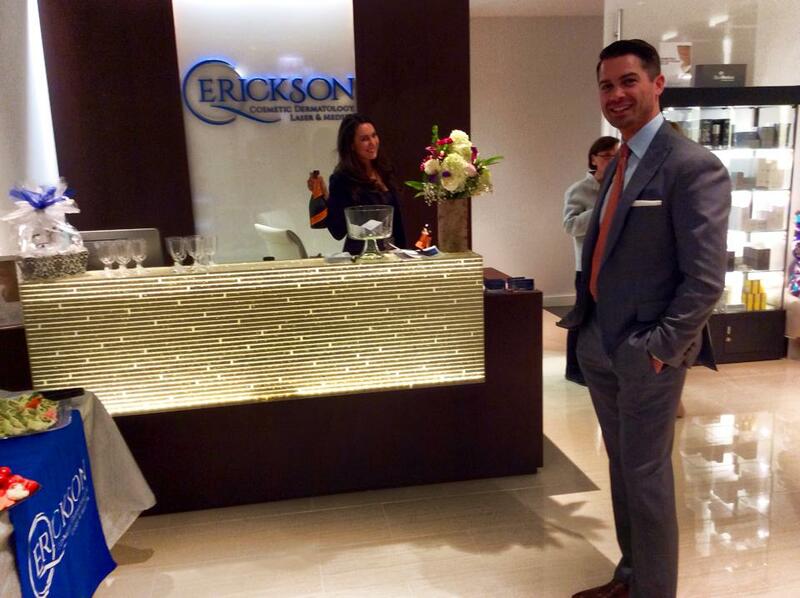 Check out miraDry at Erickson Dermatology Chicago. 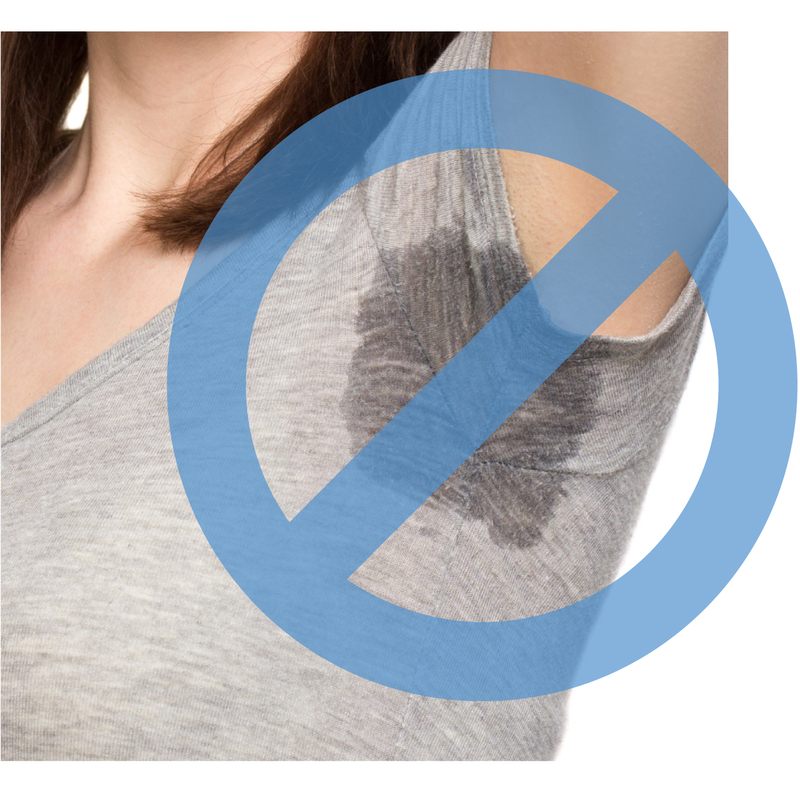 For people with hyperhidrosis, excessive sweating can effect your daily life. But I think for people who are simply ‘sweat-bothered’, sweat can also be a huge hassle on a daily basis, too. Sweat: in a lot of ways, it can be embarrassing for everyone. 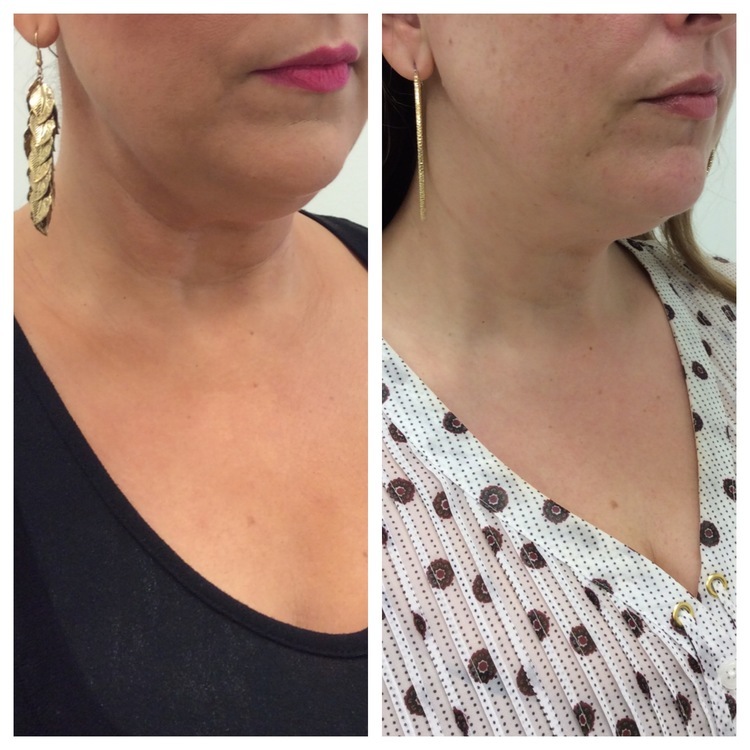 In our office, we treat underarm sweating with the miraDry procedure. MiraDry is a procedure that selectively heats the sweat glands in the underarms. This damages the overactive glands, and they do not regenerate. The result is dramatic and lasting sweat reduction. MiraDry is great for people with hyperhidrosis and those who are just sweat-bothered, too. As an added bonus, miraDry also treats the apocrine glands. Those are the ones that cause the odor and the yellow stains… buh-bye, antiperspirant, deodorant AND stained T-shirts! Hello, miraDry! 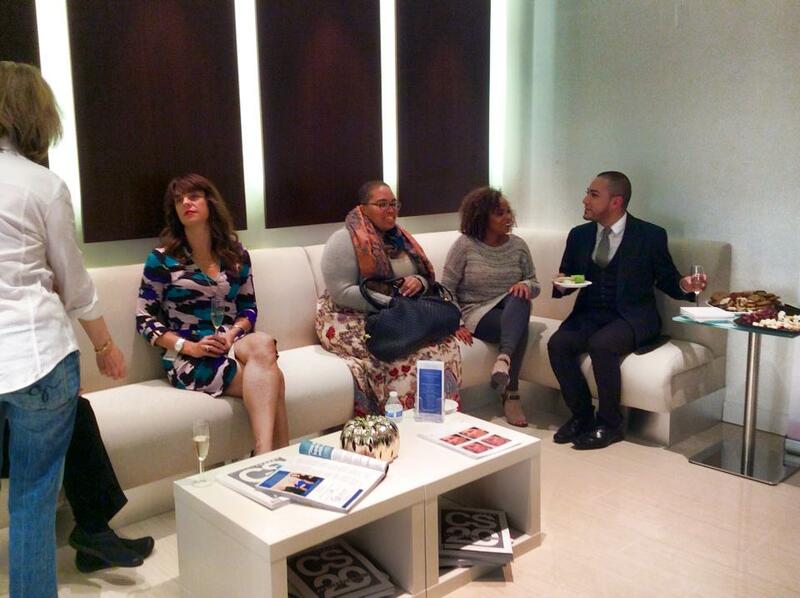 Our Sculptra Soiree: A Great Success! 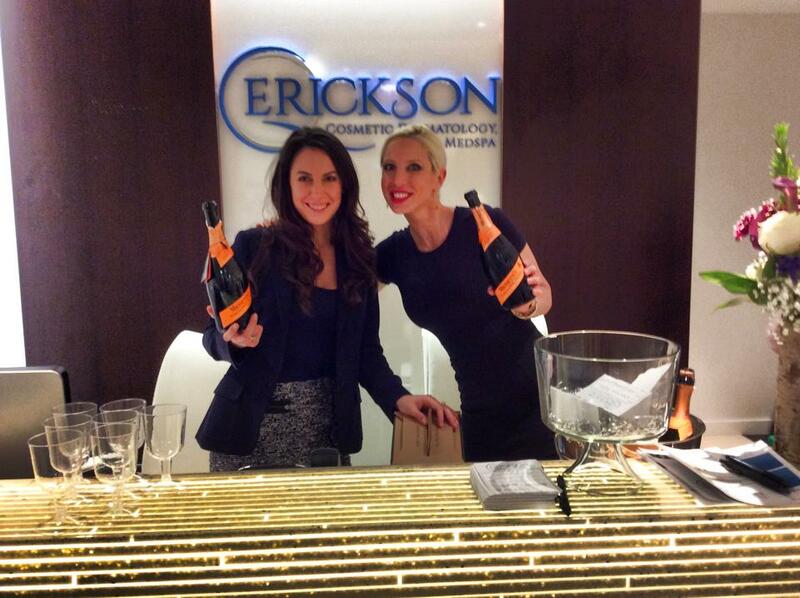 Thank You to everyone who came out to our Evening with Erickson Educational Event: A Sculptra Soiree! We had a blast! 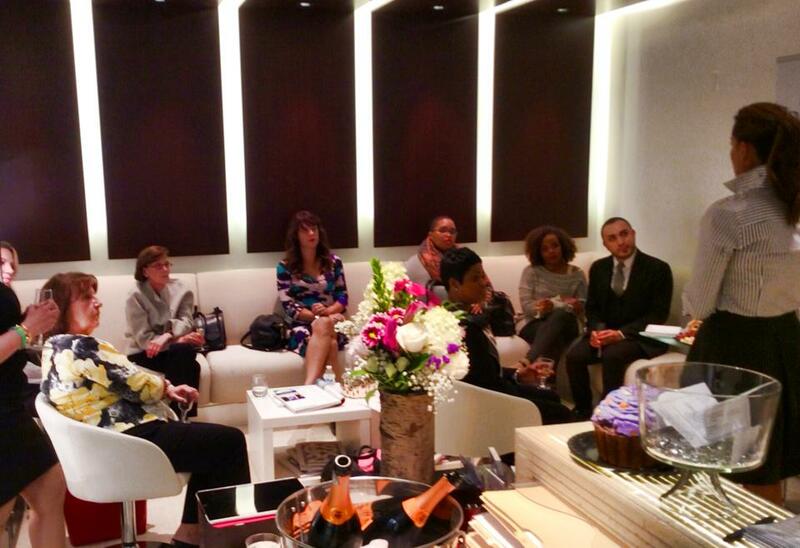 Thanks to all who came out for our Sculptra Soiree Event! 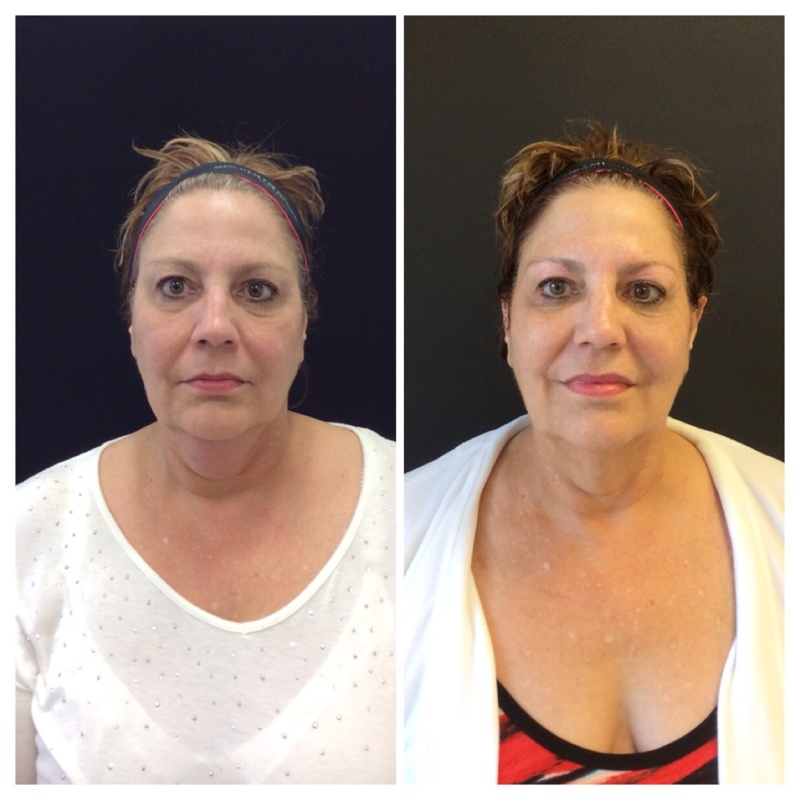 Do you love BOTOX? Have a friend who would too? 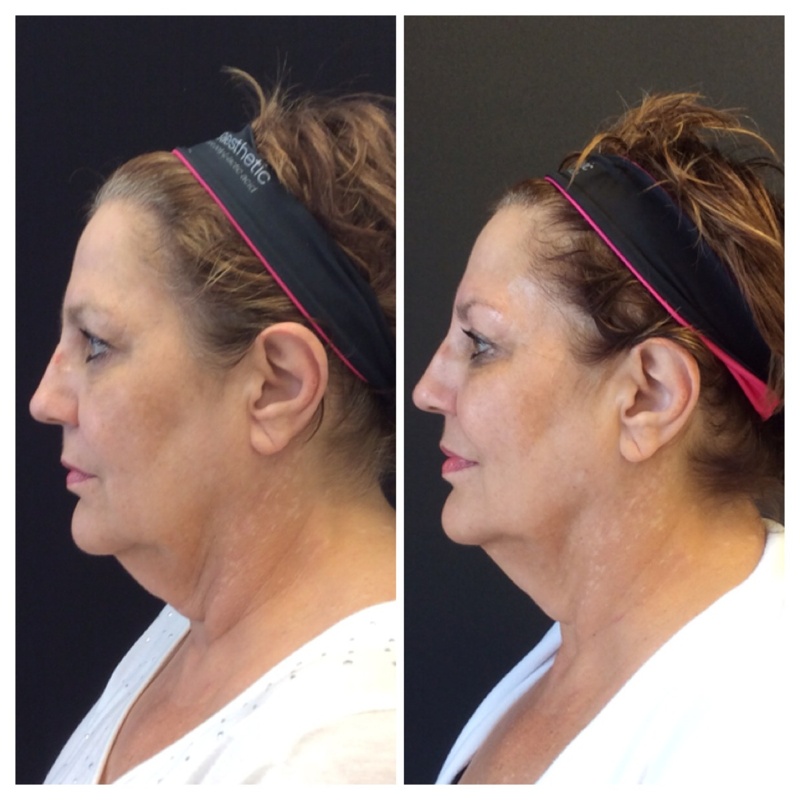 BFF BOTOX at Erickson Dermatology is a win/win! OR a SkinMedica AHA/BHA Kit, which includes the popular AHA/BHA Exfoliating Cleanser! 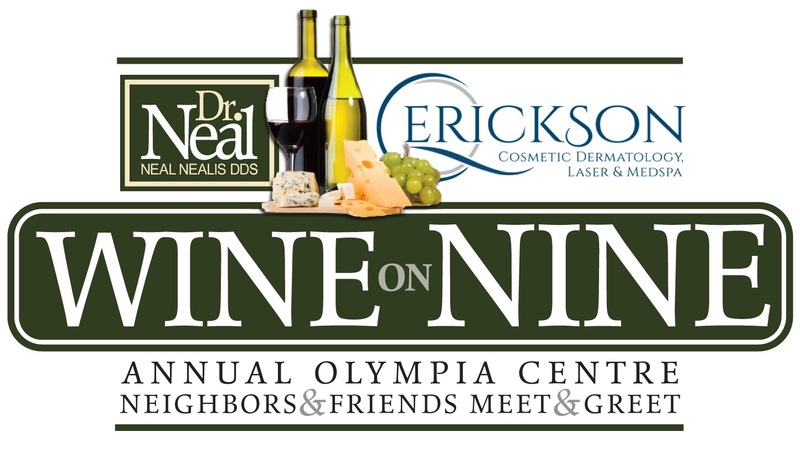 AND a $100 gift card to use towards Juvederm, laser, or spa facial treatments at Erickson Cosmetic Dermatology! 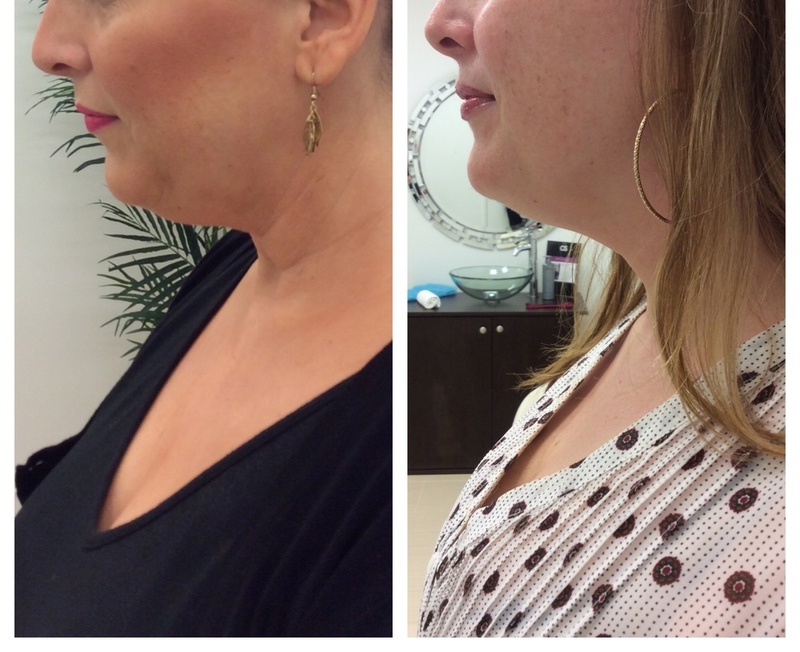 Your friend will enjoy a complimentary BOTOX® treatment… it’s a win/win! Friends Don’t Let Friends have Frown Lines! Call Today! 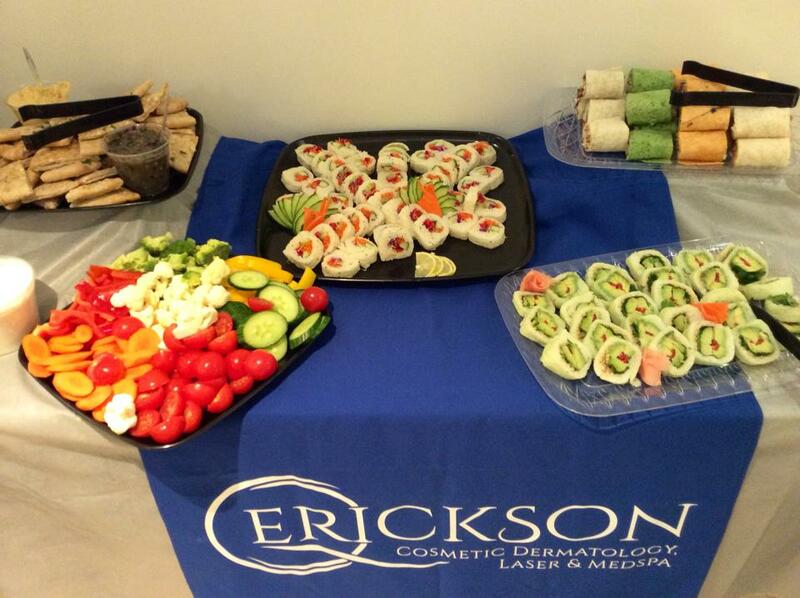 *Current Erickson Cosmetic Dermatology Chicago patients will be eligible for treatment now through September 2014. Referred friend will be eligible for treatment now through October 2014. While supplies last, limited-time offer. 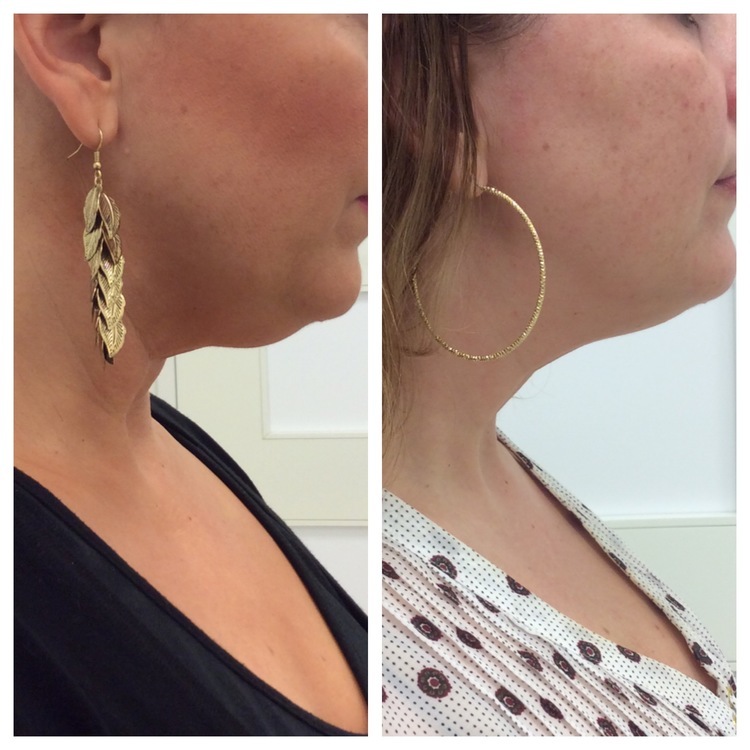 Patients must be determined an appropriate candidate for treatment by Dr. Quenby Erickson. 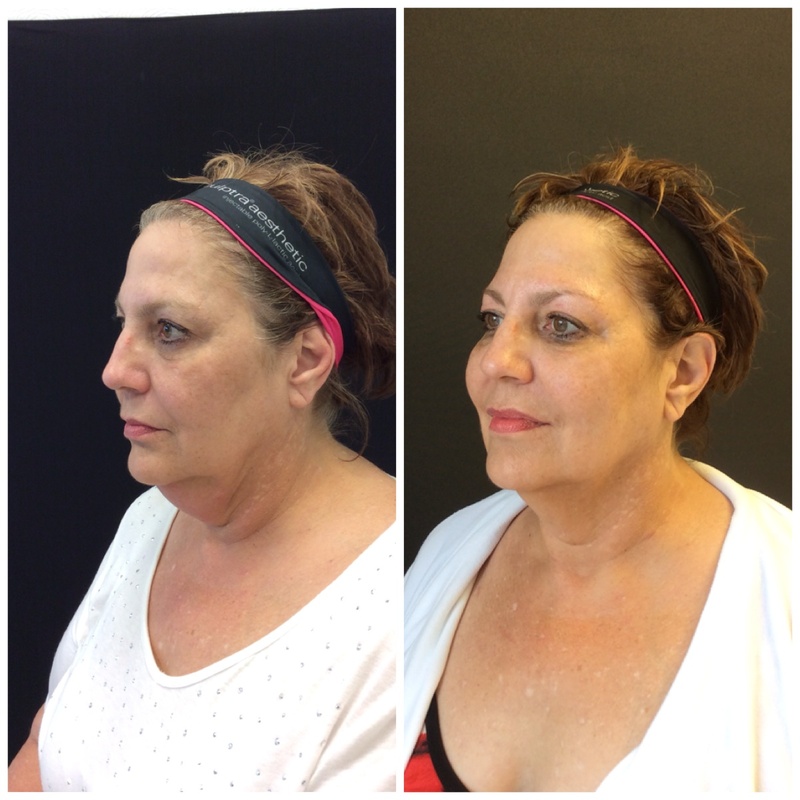 Complimentary Botox treatment is up to 50 units, treatment amount will be determined by Dr. Quenby Erickson. 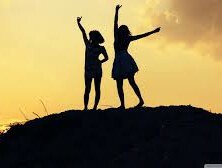 Limit one friend referral per patient. Call us today to book an appointment to see if Botox Cosmetic is right for you, and remember: friends don’t let friends have frown lines!